Cyprus! A sunny, peaceful, Mediterranean island with clean beaches, scenic mountains, and an abundance of ancient monuments and relics. The population enjoys a relaxed pace and an excellent quality of life, but only if they belong to the human species. Life for the almost 1.5 million feral and stray cats does not fare so well! Despite the widely believed local legend that cats were introduced to the island by St. Helene to kill the poisonous snakes that at one time infested their land, modern Cypriots, or their government, do not have in high esteem the descendants of those heroic snake fighters! The small annual government sterilization funding, of just €50,000, was cut completely since 2013 due to the economic crisis. In the favorable climate of Cyprus, a female cat can give birth up to three times per year, resulting in a chronic overpopulation. Animal lovers, in every corner of the island, are struggling with very limited resources, to feed, heal, nurse, and neuter as many cats as possible! 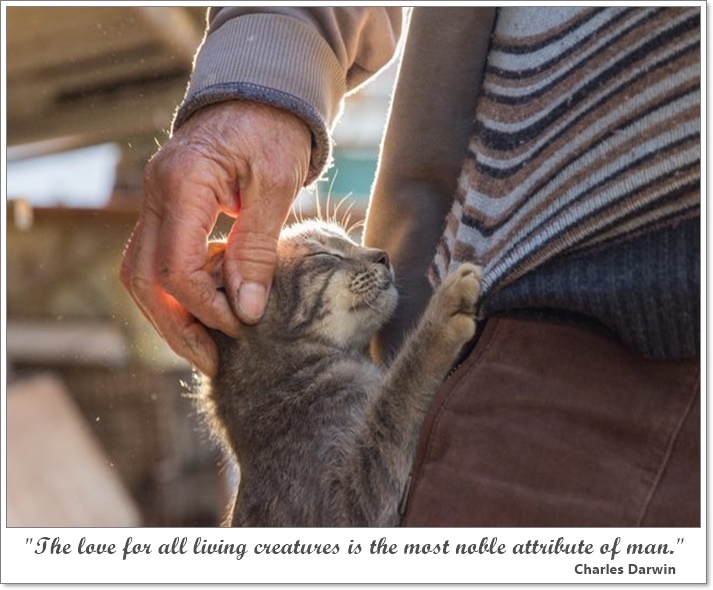 Catscy.com was created as an easy, costless and completely safe way, for animal lovers wherever they are, to help with the ongoing struggle for feline welfare in Cyprus. By utilizing JSEcoin's new revolutianary technology, and with your consent, we use a small portion of your excess CPU power to carry out mathematical calculations that result in a very small reward for Catscy.com. Your surfing experience and privacy will not be compromised. As soon as you leave this site, the code stops immediately. Nothing is ever downloaded onto your PC or runs after your visit on our site. All proceeds will go towards animal welfare. That's our promise! Feline Vanity! Are they really posing or is it just my imagination? Some cases that we think are worth mentioning.